It was a balmy spring day here. After the artic blast of a long winter, it felt great to bask in the sun, reading a book with a hot cup of tea. The peepers (frogs) were tuning up in the bottoms by the creek. My crocuses are finally in bloom and the promise of spring is not far off. 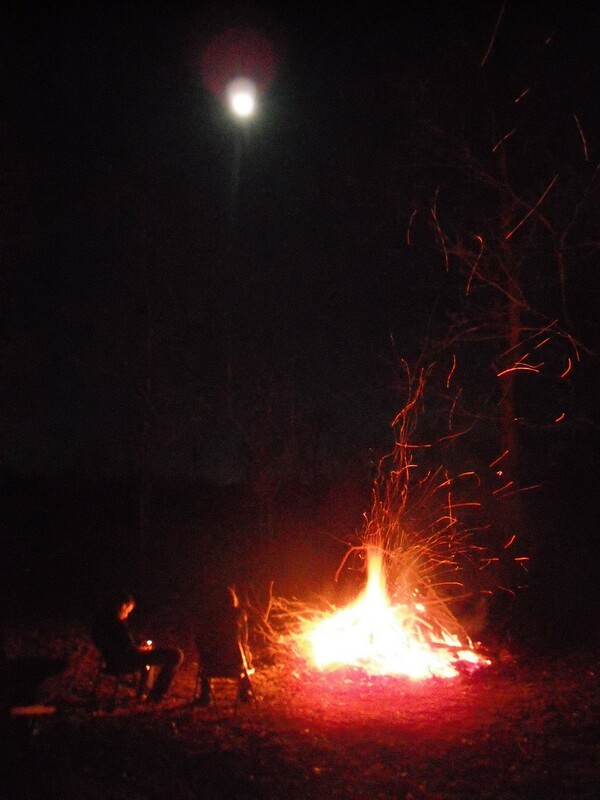 Campfire with the full moon overhead. Both of my boys were home today so tonight they decided to start a campfire and stretch out the evening. 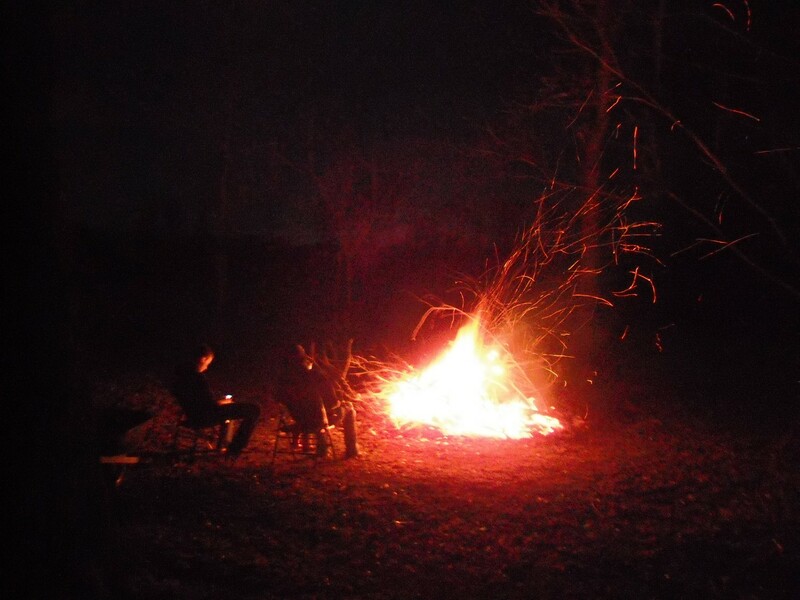 There is something primitive about gathering around a fire at night with other humans. It always grabs me in my innermost self. A few toasted marshmallows. My granddaughter delighted with the “fireworks.” Our new puppy got tired and put himself to bed. Country life is nice. Now I have to go shower the smoke out of my hair. 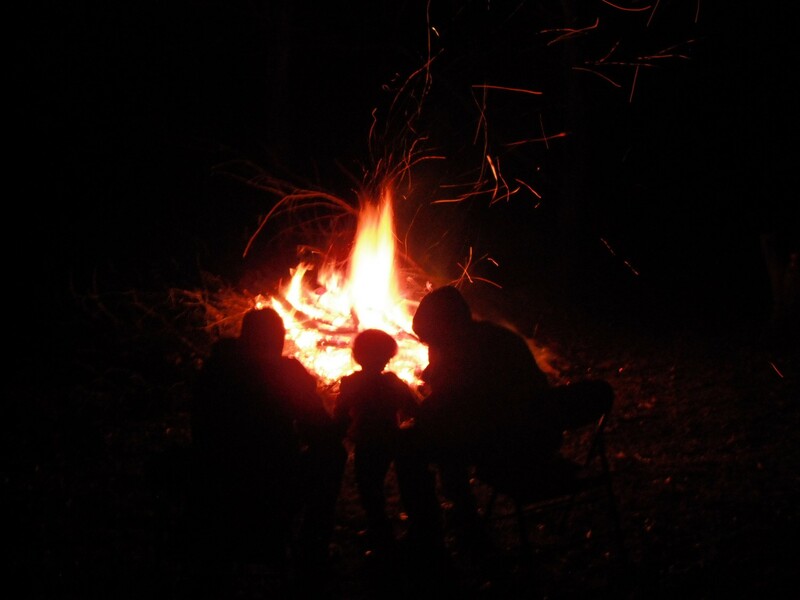 How long have humans been gathering around a campfire? 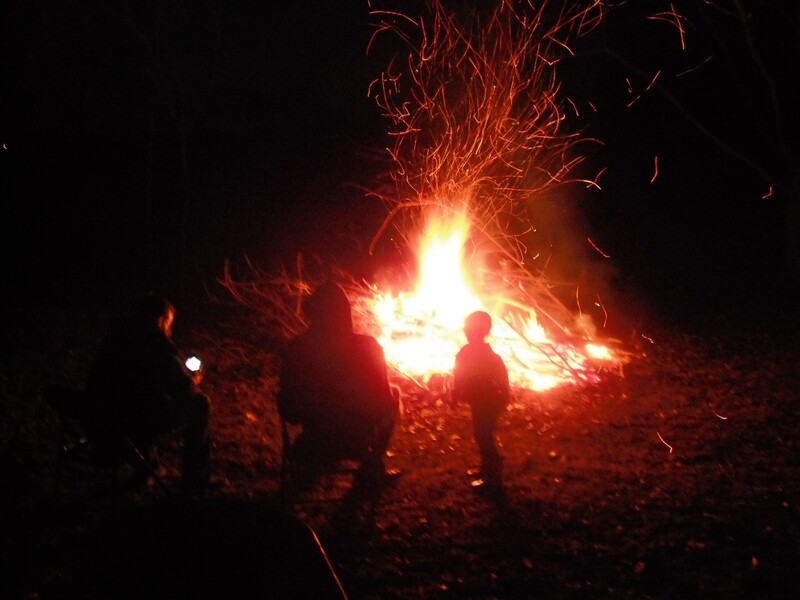 This entry was posted in country living and tagged camp fire, country living. Bookmark the permalink.